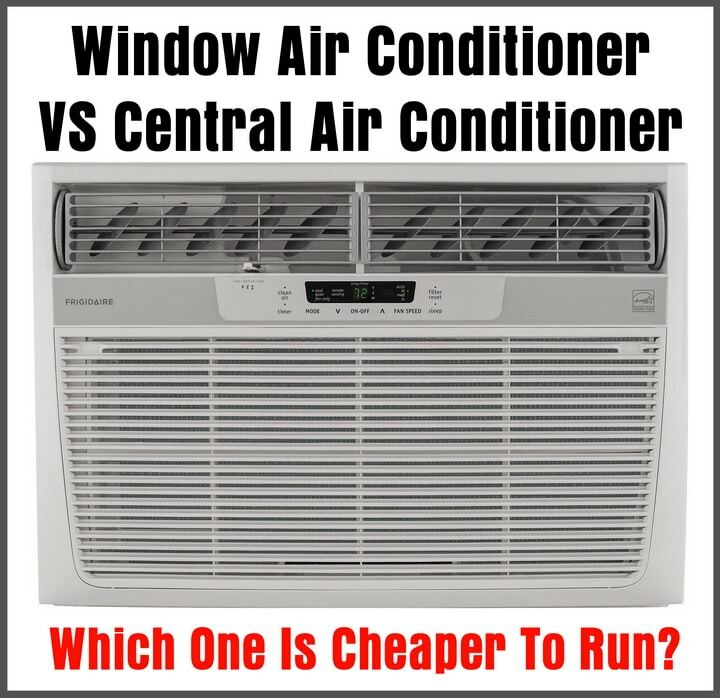 Window Air Conditioner VS Central Air Conditioner – Which One Is Cheaper To Run? Question: I am trying to save money during summer. 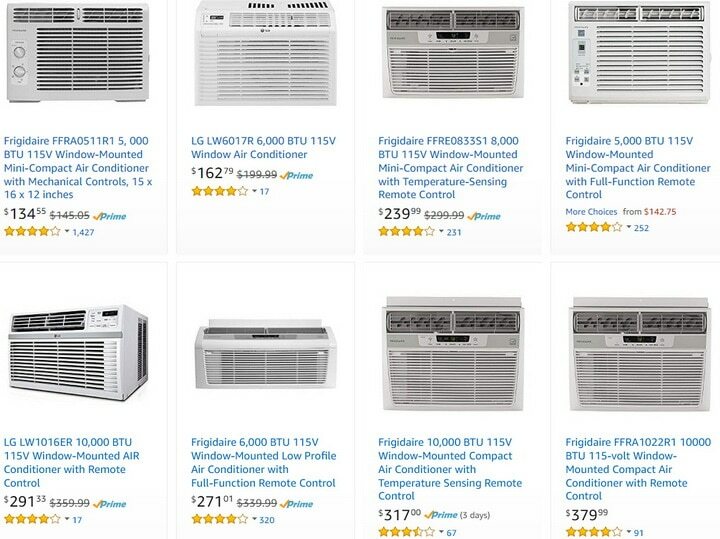 What is the energy efficiency comparing a window AC to central air conditioner? My home has a central air conditioner but to save money I have been using my window unit air conditioners. I need to know, can I save money by using ONLY the central air conditioner? My thinking is, since I am not cooling my complete home at the same time, using the window AC’s are saving energy and money. I have 5 window ac units that run during the summer time in the rooms my family uses such as my office, the kitchen, 2 bedrooms and the living room. Do you think that if I stopped using the window air conditioners and turned on the central AC that I would save money on my electric bill? -A Central Air Conditioning System will cool your home much more efficient than running a multitude of window air conditioning units. -If you need to cool ONLY one or two rooms and not the complete home than 1 or 2 window AC units will use less energy than a central home AC system. -You need to know the wattage of your window AC unit. -This will help you to know what it costs to run it. FOR EXAMPLE: To determine the cost to run a 4,000 BTU AC you’ll have to know the amp rating. -Then convert that number to wattage. -Once you know the wattage of you window AC unit you can find out the cost to run the air conditioner. Window AC units do not effectively remove the humidity from the air. -When it is hot and humid outside, a window AC unit tends to overwork itself and “sweat”. -A window AC can “sweat” and this introduces moisture and humidity into that particular room. -It can be difficult to “seal” an AC window unit which lets humidity in the room. 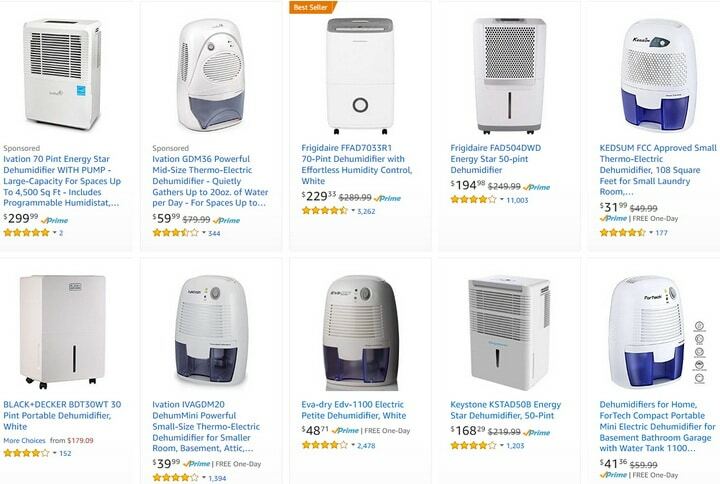 -If you live in a high humidity area window AC units are not the best choice. -If you live in a high humidity area, try using your central air conditioner for one month and see if your electric bill lowers. Studies show that central air conditioners are the best with energy savings. -A newer and clean duct central AC system is beat as it can filter the air pollutants and controls humidity. -Changing the air filter on a monthly basis is a good way to keep your central ac system running smoothly. -An efficient central AC system will increase your cooling comfort. -It is best for health and safety as it will filter out all the particles in the air you breath. -An efficient central ac will reduce your energy usage and therefore reduce your electric bill. -Clean the air ducts in your home every 2 years or so to keep them clean and free of dust and blockage. -Is the area you live in a DRY HOT or HUMID HOT? -Is your home or house heavily insulated? -Which way does your home face the sun? -Do you have multiple large windows facing the sun? -What is the square footage of the rooms with the window AC’s and the square footage of your complete home? -Are the air ducts clean that are used for your central air? -What brand and type of window AC’s do you use? -Using one window ac on each floor or room will work but ONLY if the home is very well insulated. -If you have an attic be sure to use a fan to remove the heat so the window ac units can work more efficiently. -The heat in your attic can come down into your home and make it hotter therefore making the window ac units work harder. -Insulate your attic to keep it cooler and therefore letting the window ac units run more efficiently. Use a dehumidifier if your home is located in a high humidity area. This will remove any humidity in your home and can make your rooms in your home feel cooler. If you live in a SMALL HOUSE or MOBILE HOME you CAN use window AC units. Many window AC units do not use much energy and will save you money on your electric bill and keep you perfectly cool. Depending on the construction and personal behavioral multiples… It is not easy to claim a winner in the Central Air versus a Window AC Unit. The decision comes down to personal choice as square footage, layout of home, temperature setting, one story home or 2 floors, how many rooms in house, if sun is facing large windows, and many other factors, will determine your best choice. Have questions about window ac vs central ac? Please leave a question below and we can assist you. Can you explain and show how to check a no power cabinet type AC? Please give us the model number of the Cabinet A/C for us to further assist.